Please take a look at the back of your iPhone 4S. 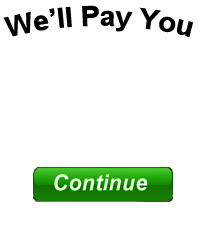 In small text near the bottom is a model number. On the iPhone 4S, this model number is A1387, if it says a different model number, then you have an iPhone 4. Please make sure to select the correct model, otherwise it will delay your payment as we will need to contact you. -	Your iPhone displays your carrier just to the left of your service level or service bars. -On your iPhone, go to your “Settings” app. What Condition is my iPhone in? -	Brand New – Your iPhone has never been opened. The shrink wrap is still on the box. -	Used - Your iPhone functions fine (makes calls, WiFi works, buttons work, etc) Scratches are ok, just no cracks. -	Cracked Screen – Your iPhone works fine, but the screen is cracked. -	Broken or Water Damaged - Your iPhone may have water damage, the buttons may not work, the screen may not turn on. iPhone got ran over by a car? It still qualifies for our "Broken" pricing. We will buy ANY iPhone (must still have all parts), and you will get your fully quoted amount. We don’t change our quotes. Ever. We will never change our offer price on you. you will get this exact offer price! I give IPhone Antidote 5 stars! This website is fast, reliable and convenient. I got the most cash when I wanted to sell my water damaged iPhone. I would 100% recommend this website to anyone that wants to sell their phone online! iPhone Antidote operates as advertised. I wanted to sell my iPhone, that happened to take a swim in the lake this summer, for more than any other .com I could find! I decided to sell my broken iPhone, they sent me money. Simple. Done. Gave me the best price I could find to sell my water damaged iPhone. Received the check fast and the process was seamless. Great company and if I need to sell an iPhone again, I'll be using these guys again. Thanks! 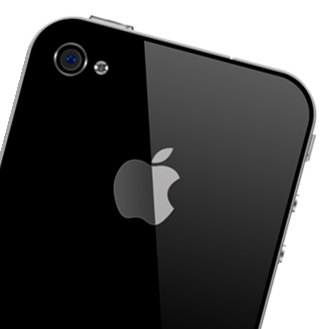 iPhone Antidote is great for people looking to sell iPhones online. I wanted to sell my iPhone and it had a cracked screen; they sent me a check for $200! They paid for the shipping and sent my check promptly. This is a great company. What's my iPhone worth? Should I sell my iPhone online? Avoid the pain and trouble of dealing with classified ads, or eBay. Sell your iPhone online to a company that has a reputable Better Business Bureau rating, and one that has verified reviews through a website like Reseller Ratings or Yelp. Whether you want to sell your iPhone, or you just need to sell a broken iPhone, iPhone Antidote is the trusted iPhone buyback. Copyright © 2017 iPhone Antidote. All Rights Reserved.